genetic PCR Solutions (GPS™) is a new technology-based company that develops comprehensive validated procedures to detect and identify microorganisms by using fast and reliable genetic technologies. GPS's goals are the provision of rapid diagnosis and analysis by combining the benefits of genetics and recent advances in instrument technology (automatic DNA extractions, real-time PCR, sequencing, micro-arrays, DNA-chips, etc.). Validation and automation of detection technology is of high interest to GPS™since they became involved in national platforms dedicated to validating microbiological methods. GenoStand™ is genomic DNA extracted from certified type strain species obtained from a public culture collection. the organism you want not here? MONODOSE dtec-qPCR ...presents individual ready-to-use tubes containing all the components needed for detection of specific pathogens: dNTPs, polymerase, pathogen-specific primers, probe, and the appropriate buffer. Just add your extracted sample to each tube and run the qPCR. One-Day Food Testing ...GPS™ has developed a protocol for foodborne pathogen control that produces the results in a single working day. Time of each step has been reduced and the procedure has been simplified and optimized. Easy, safe and fast. Rapid extraction (<20 min), rapid thermo-cycling protocol (8 min) Validated against all major food pathogens. 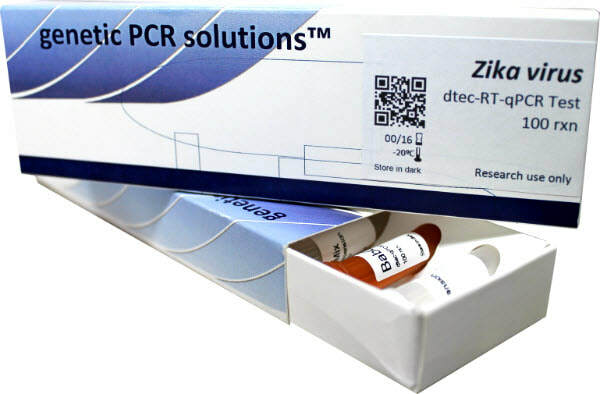 Each PCR tube contains all the reagents needed to perform the detection test. TargetSpecies dtec-qPCR Test ... GPS offer a wide range of qPCR assays with a format that is standardised, rapid and sensitive. GPS™ also design, produce, and validate, kits for real-time PCR on demand to detect any genetic target at several taxonomic levels: from the genus, species, or specific strains.